A new study suggests that children gain more fat mass during the summer, but that kids' busy school days help them stay fit. 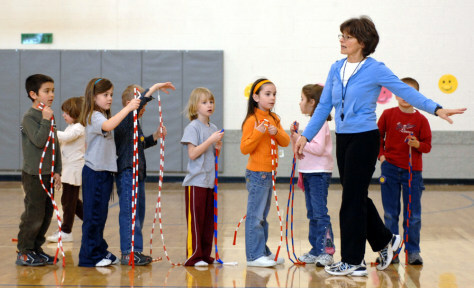 Here, physical education teacher Martha Haynes explains an exercise to first-graders at J. B. Stephens Elementary School in Greenfield, Ind.